I have no idea the name of this flower. I found it along the highway in Oklahoma. I think it is very pretty. Sadly once I started looking at the photos I realized I didn’t have a very good picture of them. But hopefully someone (Midwestern Plant Girl) will be able to identify this lovely flower. This entry was posted in Uncategorized and tagged 365 photos, Nature, photography, wildflowers on May 1, 2015 by treerabold. I’ve narrowed it down to two things. The leaves were hard for me to pick out, but these two plants also have similar leaves. 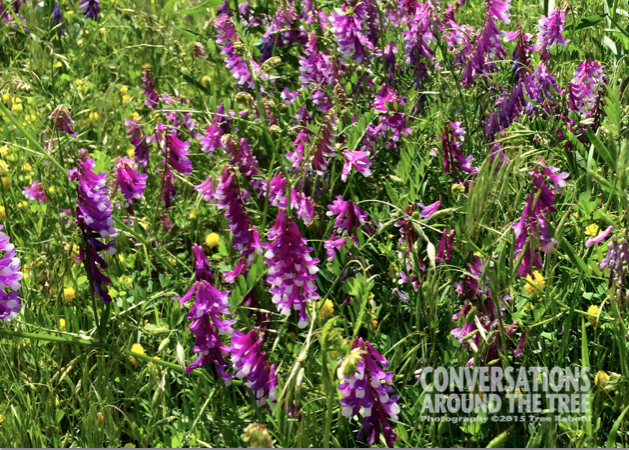 Vicia Americana – American Vetch or Lathyrus vernus – Spring Pea. I think I’m going to lean towards the vetch. Final answer! However, why do you need an app, when you have me?!?! HaHaHa!! A good point you make….you are my app!! However I do like to solve the flower mystery on my own when possible. Since I am an iPhone user I will check out the apps….thank you my friend!! I hope your weekend is good as well.